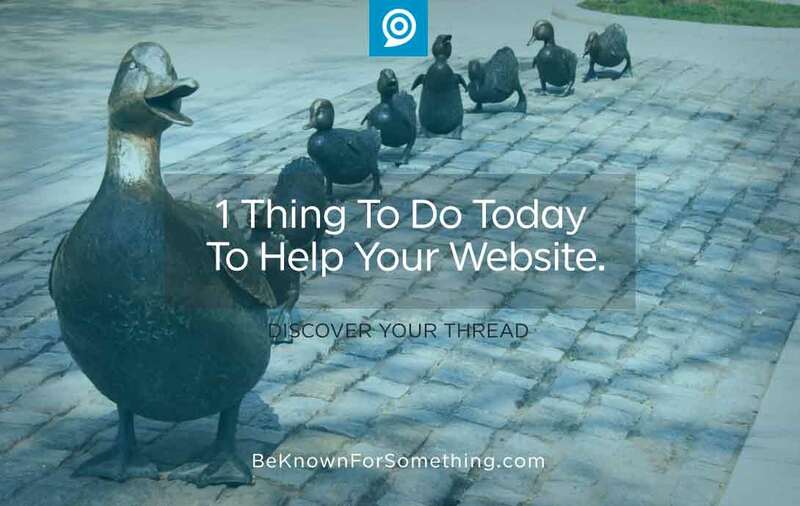 Be Known for Something : Discover Your Church Communication Thread / Communications / Quick! 1 Thing To Do Today To Help Your Website. When someone shows up at the door of your church and they’ve never attended before, you should have a protocol for guests. But pretend that you’re the only one nearby when they carefully open the door with that “am I at the right place?” look on their face. It’s a safe question to ask since everyone is looking for something. Once told, you show them to it. But before you leave them, you say “While you’re here, you may need the restrooms, they’re right over there. And we have a social for guests after the service if you’d like to join us. It’s in the large room at the end of the hall. You’re good: You anticipated their needs and directed them in a friendly fashion. That’s what you need to do on your website. So, go do it. Now. It’s fairly easy if you can add links and change content on your website. Don’t know how? Find someone who does. People are arriving on your website daily wondering if they’re at the right location. They look in the upper left to check that the logo looks friendly and there’s a brand promise or story (in the form of a tagline or communication thread). Then they want certain information: Service Times, Directions, and Events/Calendar. They want these quickly, so provide them on your home page. If they’re really new to your church, or your church doesn’t have a denomination in the name, they’ll probably want to look for your beliefs or doctrine. About that time, they’ll want a short video, a few pictures, or a brief description of what to expect. Make sure you provide these as a link (i.e. New?) in the main menu. Your main menu is key to your website. It should quickly lead people to the large areas of your ministries. It shouldn’t take a rocket scientist to figure the menu out. It should be obvious with very few choices. Probably 5 or 6 total. And then on every page (listed under the main menu) — and don’t have too many here either — make sure you give them just the facts for what the page is about, and then… here’s the 1 thing: Lead them around. That’s right. Using links that lead to other parts of your website, anticipate their needs. For example, if they’re on a children’s ministry page, they’ll probably want to go visit the security area. Provide a link. Or maybe you should lead them to the next event involving children. Provide a link. Or maybe there’s a parenting class that they could attend while their kids are learning about Jesus. Provide a link. 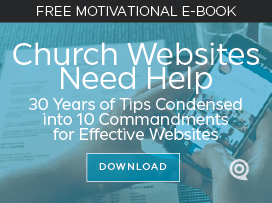 Lead them around in a friendly manner (anticipating their needs), and your congregation will love your website. And your church. And you.